Static GK is one of the important section in both Government Sector and Bank related Exams. 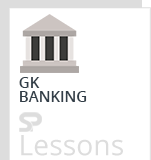 In static GK, Banking is one of the important topic. The article World Bank Importance presents the key points of World Bank . The article World Bank Importance can help the students and aspirants to perform well in the exams like IBPS PO, SO, Clerk, SBI, RRB, etc. World Bank is a vital source of financial & technical assistance to developing countries around the world. It comprises five institutions managed by their member countries. It was established in 1944. It headquartered in Washington, D.C. It is made up of 189-member countries. Jim Yong Kim is the 12th President of the World Bank Group. End extreme poverty by decreasing the percentage of people living on less than $1.90 a day to no more than 3%. Promote shared prosperity by fostering the income growth of the bottom 40% for every country. It was conceived at a UN conference in Bretton Woods, United States, in July 1944. Facilitate the expansion and balanced growth of international trade. Assist in the establishment of a multilateral system of payments. Make resources available (with adequate safeguards) to members experiencing balance of payments difficulties. The IMF’s fundamental missionis to ensure the stability of the international monetary system. giving practical help to members. The IMF oversees the international monetary system and monitors the economic and financial policies of its 189-member countries. A core responsibility of the IMF is to provide loans to member countries experiencing actual or potential balance of payments problems. The IMF has a Managing Director, who is head of the staff and Chairperson of the Executive Board. The Managing Director is appointed by the Executive Board for a renewable term of five years. Founded: 27 December 1945, Bretton Woods, Carroll, New Hampshire, United States. International Development Association (IDA) is the part of the World Bank that helps the world’s poorest countries. Overseen by 173 shareholder nations, IDA aims to reduce poverty by providing loans (called “credits”) and grants for programs that boost economic growth, reduce inequalities, and improve people’s living conditions. IDA is one of the largest sources of assistance for the world’s 75 poorest countries, 39 of which are in Africa, and is the single largest source of donor funds for basic social services in these countries. IDA is a multi-issue institution, supporting a range of development activities that pave the way toward equality, economic growth, job creation, higher incomes, and better living conditions. It was conceived in the early 1960s as a financial institution that would be Asian in character and foster economic growth and cooperation in one of the poorest regions in the world. The Philippines capital of Manila was chosen to host the new institution, which opened on 19 December 1966, with 31 members that came together to serve a predominantly agricultural region. Takeshi Watanabe was ADB’s first President. During the 1960s, ADB focused much of its assistance on food production and rural development. From 31 members at its establishment in 1966, ADB has grown to encompass 67 members — of which 48 are from within Asia and the Pacific and 19 outside. It was established as a financial institution that would foster economic growth and cooperation in the Asia-Pacific region. It assists its members and partners by providing loans, technical assistance, grants, and equity investments to promote social and economic development. At the fourth BRICS Summit in New Delhi (2012), the leaders of Brazil, Russia, India, China and South Africa considered the possibility of setting up a New Development Bankto mobilize resources for infrastructure and sustainable development projects in BRICS and other emerging economies, as well as in developing countries. The leaders then agreed on the feasibility of establishing the New Development Bank and made the decision to do so. During the sixth BRICS Summit in Fortaleza (2014), the leaders signedthe Agreement establishing the New Development Bank (NDB). NDB will strengthen cooperation among BRICS and will supplement the efforts of multilateral and regional financial institutions for global development, thus contributing to collective commitments for achieving the goal of strong, sustainable and balanced growth. The Bank shall have an initial authorized capital of US$ 100 billion. The initial subscribed capital shall be US$ 50 billion, equally shared among founding members. The first chairman of the board of Governors shall be from Russia, the first chairman of the Board of Directors shall be from Brazil, and the first President of the Bank shall be from India. The headquarters of the Bank shall be located in Shanghai. The inaugural meeting of the Board of Governors of the NDB was chaired by Russia and held on the eve of the Ufa Summit on 7 July 2015, when the Bank formally came into existence as a legal entity. During the meeting, the appointment of the President, Mr. K.V. Kamath, as well as four Vice Presidents and the Board of Directors took place. At the signing of the Headquarters Agreement with the government of the People’s Republic of China and the Memorandum of Understanding with the Shanghai Municipal People’s Government on 27 February 2016, the NDB became fully operational. The New Development Bank, formerly referred to as the BRICS Development Bank, is a multilateral development bank established by the BRICS states. The Asian Infrastructure Investment Bank (AIIB) is a multilateral development bank with a mission to improve social and economic outcomes in Asia and beyond. It commenced operations in January 2016. AIIB offers sovereign and non-sovereign financing for sound and sustainable projects in energy and power, transportation and telecommunications, rural infrastructure and agriculture development, water supply and sanitation, environmental protection, and urban development and logistics. The Asian Infrastructure Investment Bank is a multilateral development bank that aims to support the building of infrastructure in the Asia-Pacific region.